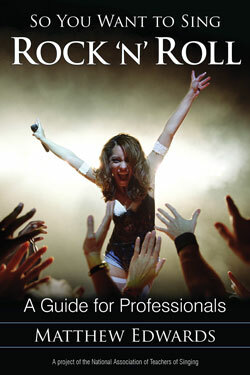 The second in a new series and developed in coordination with the National Association for Teachers of Singing, So You Want to Sing Rock 'n' Roll: A Guide for Professionals fills an important gap in the instructional literature for those who sing or teach singing to those seeking their fortunes in pop/rock performance. Rock ‘n’ roll is a style that was born out of the great American melting pot. An outgrowth of the blues, rock 'n' roll music combines driving rhythms, powerful chords, and lyrics that communicate the human experience to audiences around the world. Although rock singing was once seen as a vulgar use of the human voice and was largely ignored by the academic community, voice teachers and singers around the world have recently taken a professional interest in learning specialized techniques for singing rock 'n' roll. So You Want to Sing Rock ‘n’ Roll includes guest-authored chapters by singing voice researchers Dr. Scott McCoy and Dr. Wendy LeBorgne, as well as audio and visual examples available from the website of the National Association of Teachers of Singing. This work is not only the ideal guide to singing professionals, but the perfect reference work for voice teachers and their students, lead and back-up singers, record producers and studio engineers.